Our book will be available Worldwide via Amazon upon publication and in Paperback too. Nostalgic 1960s music scene setting with playlist. For fans of Marian Keyes and Katie Fforde. June 1968. Renza falls head over heels for heart- throb guitarist Scott. But after a romantic summer together they are torn apart when Renza’s family moves away. If you love music and fashion and everything 1960s, you’ll be sure to love our novel. Not just a love triangle, Only One Woman charts the music and fashions of the time and is peppered with World Events which shape and change society forever. We are Renza Rossi and Stella Deacon, and like most girls in the 1960s we kept diaries. Proper written diaries. With daily entries from 1968 through to the end of the decade, chronicling our life, the fashions, the music, the excitement – and our love affairs…. How this came about, the ups and downs, the laughter, the tears, the heartbreak, and how it was resolved – all played out to a 1960s background of love and peace and rock’n’roll – is covered in the amalgamation of our diaries, ONLY ONE WOMAN. 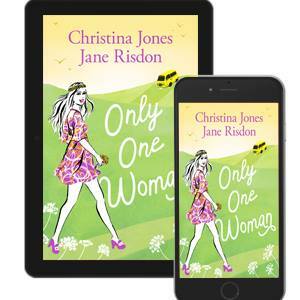 Christina Jones has written for teenage and women’s magazines, had her own humour column in The Oxford Times and published her funny, feel-good Bucolic Frolic novels to great acclaim. She is also a former Pop Magazine journalist. Jane Risdon worked with management of musicians, singer-songwriters, and record producers, rubbing shoulders with the great and glamorous all over the world. 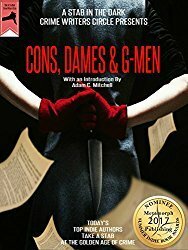 She has written for several anthologies and online magazines and whilst her main love is crime writing she has really enjoyed co-writing this with Christina. She and Christina have been friends since the Swingin’ Sixties. will be available in Paperback and e-book and is to be published on 23rd November 2017 by Accent Press Ltd.
Renza and Stella have their own Playlists up on YouTube for you to enjoy. In May 2018 the Paperback and Audio Book will be released elsewhere.